We’ve been putting science behind best practices in organic agriculture for more than 70 years. Our mission is to conduct rigorous research designed to help us uncover the most effective, efficient, and regenerative farming practices. Shared with farmers and consumers worldwide, our research acts as a catalyst for change in food systems around the globe. From our 40-year-old Farming Systems Trial—the longest-running side-by-side comparison of grain cropping systems in America—to new and exciting research on industrial hemp, we continue to develop best practices for farmers that are grounded in practical data. Take a closer look at our groundbreaking research, including the Farming Systems Trial, Vegetable Systems Trial, Watershed Impact Trial, and experiments with industrial hemp. Rodale Institute’s Farming Systems Trial, the oldest side-by-side comparison of organic and conventional grain cropping systems in North America, is evidence that organic can compete with—and outperform—conventional agriculture. The Vegetable Systems Trial, designed to compare the nutrient density between vegetable crops grown organically and conventionally under controlled conditions, is the first of its kind. 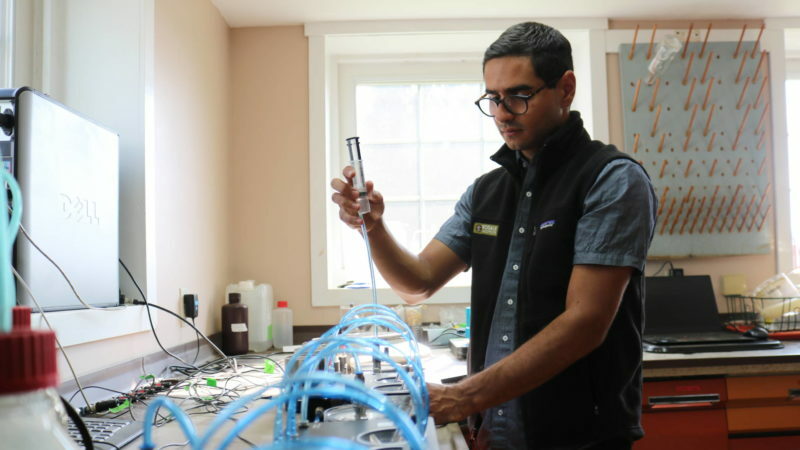 In partnership with Stroud Water Research Center, we are investigating the effects of organic and conventional farming methods on one of our most precious resources: water. Our groundbreaking research on industrial hemp explores this versatile crop’s potential to heal soil and support American farmers as a cash and cover crop. Nearly all commercial hogs are raised in confinement, and we think that should change. 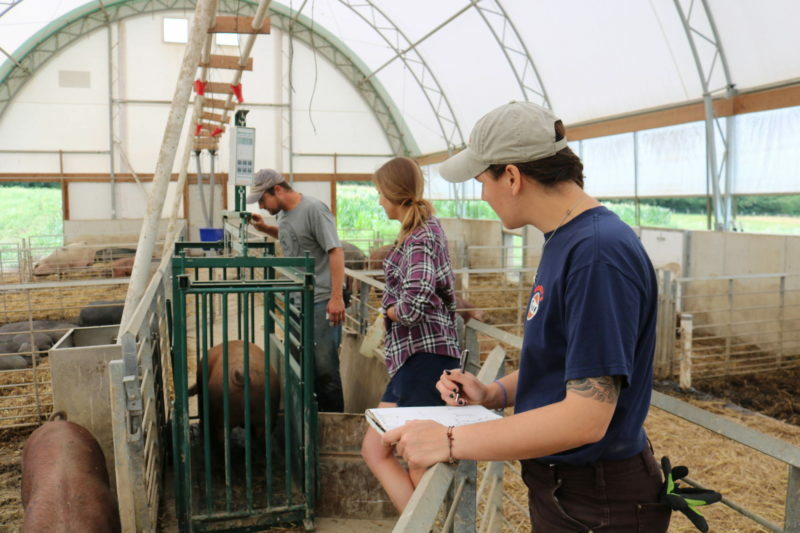 Our research investigates best practices for raising hogs healthily and humanely on pasture. In addition to our long-term trials, we constantly investigate topics including nutrient management, improved techniques for composting, soil carbon accrual, pest and disease prevention, and more.